No pitcher prepares, trains and works harder than Roy Halladay. 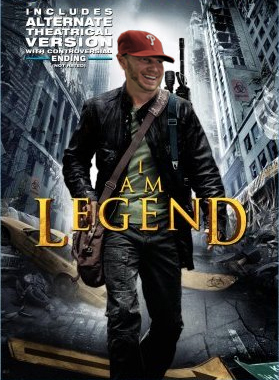 His pre-game preparation and spring training regiment has become ‘a tale of legend’ among his peers. You know why the movie ‘I am Legend’ with Will Smith flopped in the box office? Because it wasn’t about the life of Roy Halladay. Halladay focuses on every hitter/team like a school exam, and he is a straight ‘A’ student. Some would call the Yankees and the Red Sox a hard test? Not for Halladay. 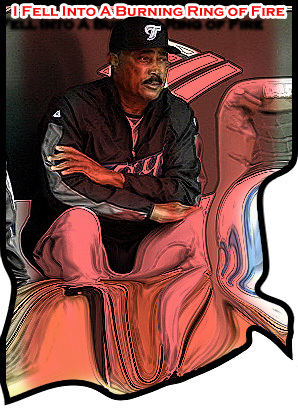 ‘The Doc’ was 13-6 with a 2.59 ERA and a 0.99 WHIP against both teams while he was in the A.L. East. No test is too difficult for Halladay. On a Saturday night in Florida, Roy was given the test of the Florida Marlins and scored perfect. With one out in the 8th inning I watched Halladay freeze a very good hitter, Dan Uggla, on a 2-seam sinking fastball that broke towards the outside corner of the plate. When I saw him make that pitch, I knew he had enough to be perfect. Sure enough, Ronny Paulino grounded a ball hit slowly enough in the hole that Phillies utility infielder, Juan Castro, could make a play on. The rest was history! A perfect history exam, if you will? In all seriousness, does it get any better than Halladay? As if you didn’t know how good he is yet? 9 straight losses now have a young and previously confident Jays team rethinking themselves. The team cannot look this as the end of the world, we need to rebound with a good home series against the Red Sox and keep competing. Ya, it was a very bad strech, but baseball is all about losing. No team will ever win all 164 games, no player will ever get a hit at every at-bat throughout those games and no pitcher will go a season without allowing a hit. Very bad road-trip though, I feel like I am sitting in a ‘ring of fire’ with frustration right now! Cito probably can relate. So much anger after the last game in Baltimore. Briefly, the Jays blew a 5-run lead in the 8th, took a two-run lead back in extra-innings and ending up blowing that! Very frustrating! Makes your blood boil watching that. “Serenity now,” I tell ya! Remember if you want me to make a card for you (see posts below), don’t hestitate to give me some of your information, and I’d be glad to do it! The info doesn’t really get too personal, and if it does, you can just leave those parts out, or make up new catergories for your card??? I want to compile a collection. I’m even willing to have them printed for you, if you choose?? Really! Come On! They can’t possibly pull another stunt like this again? Can they? Love em or hate em, but ever since the ‘Curse of the Bambino‘ has been broken, the Red Sox of the new millenium, have seemed to pull a 180 degree reverse of their fortunes. I’m not saying its all luck now in Boston right now, I just believe that there something out there guiding them to overcome the odds and pull off these victories. I might be too early in impling this incrediable and undeniable reverse of luck; however, makes for an interesting Game 7. Wonder what he is conjuring up now? 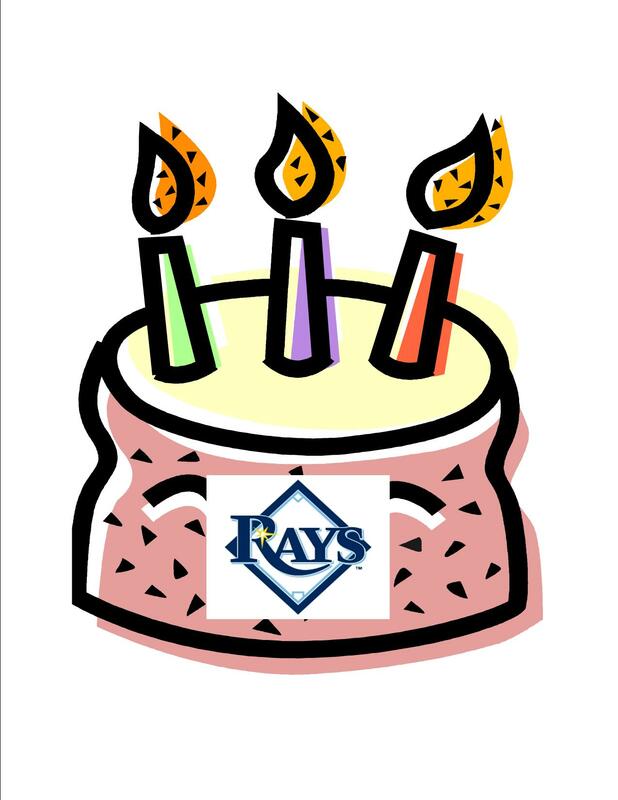 How many suprises do the Rays have left in them? They’ve got this far. They won the A.L. East, they made it to the ALCS, and they earned the respect of every team in the league. They now face a Red Sox team that is looking very dangerous with a healthy hitting David Ortiz, a deadly Jon Lester and a TWO inning shutdown closer Jonathan Papelbon. From the start of the season, I said the Red Sox were going to dominate and win the World Series. Want proof? (i.e. Iwamura, Upton, Crawford), their new found dangers at the plate (i.e. Longoria, Pena) and a strong bullpen (i.e. Balfour, Percival). Hard throwing, dominant pitchers in the pen are valuable in the playoffs. Both these teams have that, and they are both playing very good baseball coming into this series. Are the Red Sox in for another ‘surprise party’ by Tampa? Or has the American League been the Red Sox house party for past 3 of 4 seasons? No matter what the outcome, the Red Sox and Rays both getting into the ALCS prove that the A.L. East was an extremely stong division this season. Either the Jays, or Yankees could easily have been in playoffs. If there is one thing that you can say about the Jays over the past 4 years, is they are fighters. You pretty much have to be, to maintain a .500 record in a division where two teams usually dominate. Every year it seems like we play such heated battles with the Yankees or Red Sox, and every year we pretty much break even in these matchups, playing absolutely outstanding and exciting baseball. The games show that we deserve to be in their company, they show we can play with the best, and not only that, we can beat the best. The Jays always put up a fight no matter how far back we are, and no question, the Yankees and Red Sox fear us. For many reasons, the Jays haven’t been able to put together the kind of seasons ‘The Big Two’ have had over the past years, but we definately ‘bring it’ everytime we face them. That shows that we have some pretty good things going on in Toronto, the pieces might not all be there, but there are a number of very solid pieces on this team (e.g. Halladay, Downs, Rios, Wells, McDonald) and the other regulars. This past Sunday was an amazing pitchers duel between A.J. Burnett and Dice-K. Burnett made his mistakes, but so Dice-K. The bullpens fought ‘tooth and nail’, but the Red Sox ended up winning on two solo homeruns in the late innings. One by Coco Crisp in the 8th and the other by Jed Lowrie, in extra innings clinched it for the Wild Card leaders. Those guys are not likely homerun candidates but they came up HUGE for Boston that day. Seems like every year the Jays play well, but just not well enough to surpass these teams. The Yankees and Red Sox are behind the door (metaphorically speaking) and they keep on slamming it on us. That is our story (captured in this design, below). Although this season, Tampa took a bat and smashed the door in. And ‘good on them’ I say, GOOD ON THEM. Would have liked it to be the Jays, but somebody had to do it. Establishing a starting catcher has to be the most underrated position need in the game. A solid catcher is integral to a team’s success, look at the Yankees with Posada and the Red Sox with Varitek. Those guys have been with their respected clubs for a long time, they also know the ‘ins and outs’ of the system and the coach under which they play. 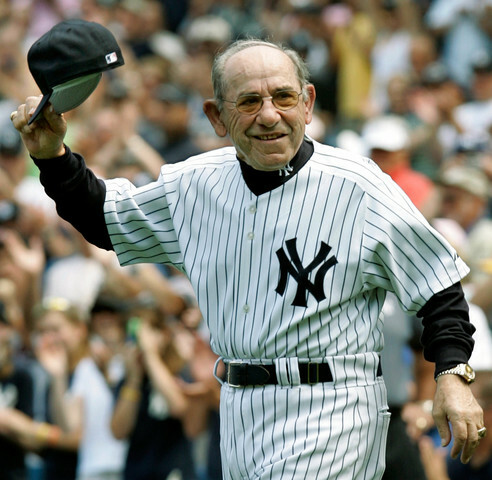 Probably one of the greatest catchers of our time, Yogi Berra (who helmed the plate for the Yankees from 1946 to 1965), is an excellent example of the importance of a catcher. Yogi, when he first came up with the Yankees, was awkward, unsure of himself and didn’t know precisely how to command the position. Pitchers constantly teased him and got outright violent with him sometimes, if he would ignore them and relay pitches from the manager in the dugout. He didn’t know how to comprimise between the players and the managers, who both had their own agendas. Yogi would eventually catch on and become more confident handling the position, but for a time, he demonstrated the crucial need for confidence and leadership in a starting catcher. 1. They are involved on every pitch and every at-bat. 2. They prevent passed balls and wild pitches. 6. Must be able to accurately throw to all positions. 7. They block to plate from runners. 8. Takes hits and hold onto the ball. 9. Direct and lead defensive alignments. 10. Call pitches and memorize signals. 11. Have great awareness of pitcher’s strengths and batter’s weaknesses. The position requires a great understanding of the game and all it’s strategic elements. Jason Varitek wears a C on his jersey and understandably so. The catcher is often looked upon for this kind of leadership. The backbone of a solid club, is a strong catcher that will stay with their team for many years. Look what happened to Braves pitching after Javy Lopez or the Marlins after Pudge left. There are exceptions, but teams that have high turnover, at catcher, often fail. The Jays, right now, are admist a catching dilemma between Gregg Zaun and Rod Barajas. These guys are very similar, except Barajas packs more of a punch with his bat and Zaun will hit for a higher average. Since Zaun came to the Jays in 2004, he has been an outstanding fill in; however, you never really got the feeling that he was our main guy. Barajas needs more time with the team, but I really like his bat, considering the Jay’s recent power outage. I think that he is due for some more playing time Gibby! I’m still hoping that our ‘catcher of the future’ is in the minors Jeroloman, Arencibia, Diaz, Thigpen????????? With that, I will end with my favorite Yogism. “I didn’t say everything I said”. Surprisingly, this can get you out of a lot bad comments you make to your girlfriend. For that, I am forever greatful to you Yogi. Got any other Yogism’s? I would be delighted to hear more, if you want to share.